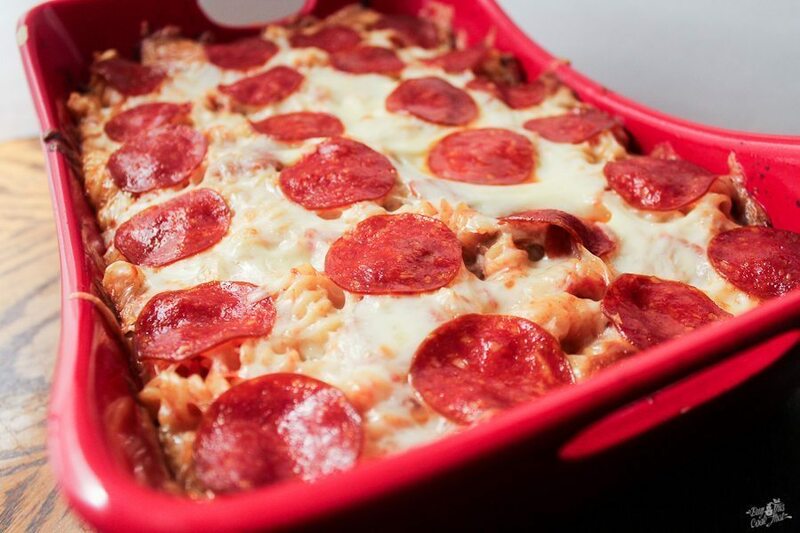 Pepperoni Pizza Pasta Bake Casserole. Saucy, cheesy and easy! 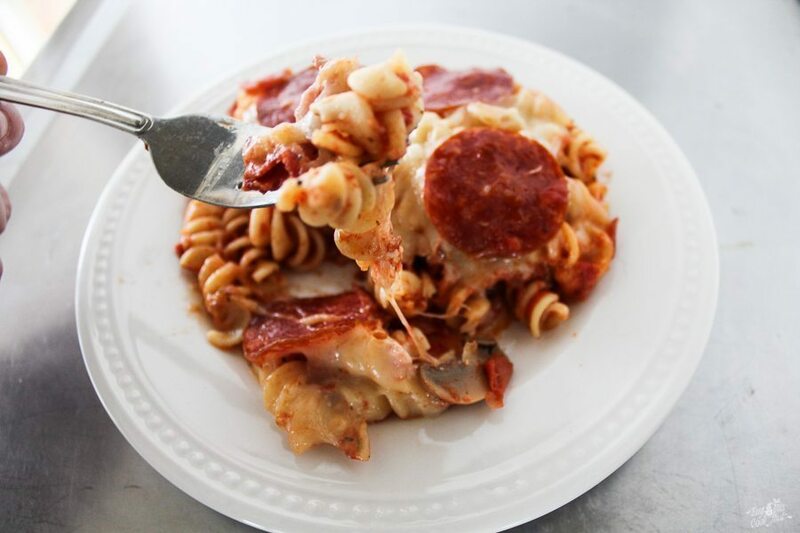 Pepperoni Pasta Bake Casserole is a recipe to keep. 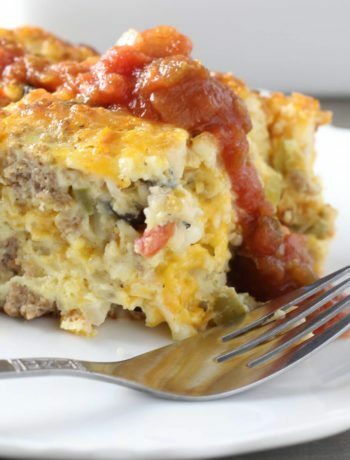 Not only is it super easy to throw together, but your entire family will love it. 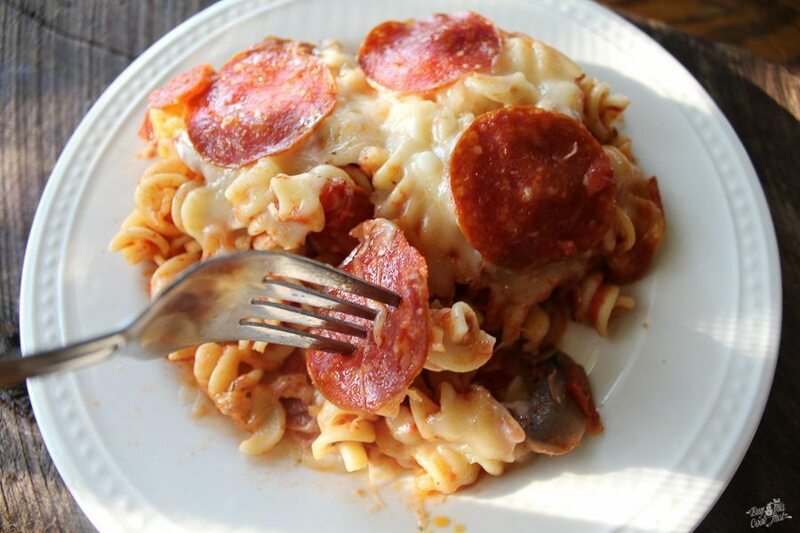 Rotini pasta covered in sauce and then topped with ooey-gooey mozzarella cheese and pepperoni. Homerun meal. 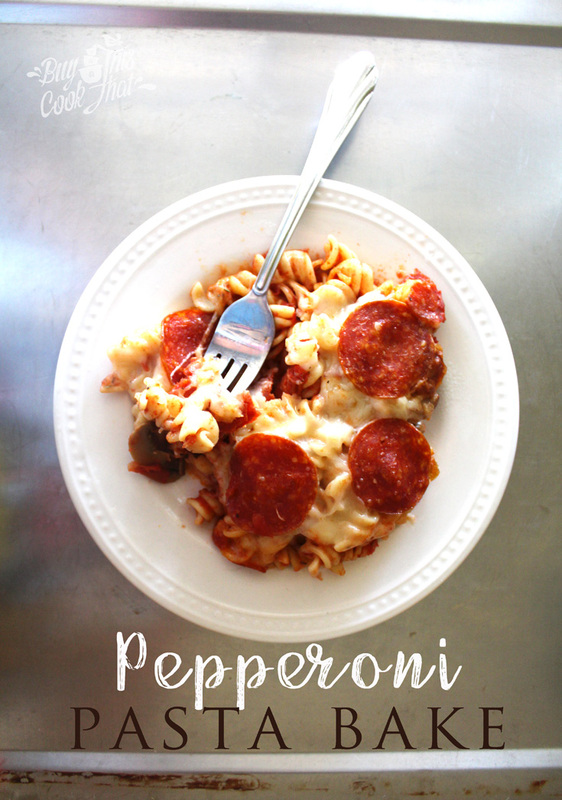 Pepperoni Pasta Bake Casserole : Delicious comfort food your whole family will love! This is one of those meals you can really make your own. 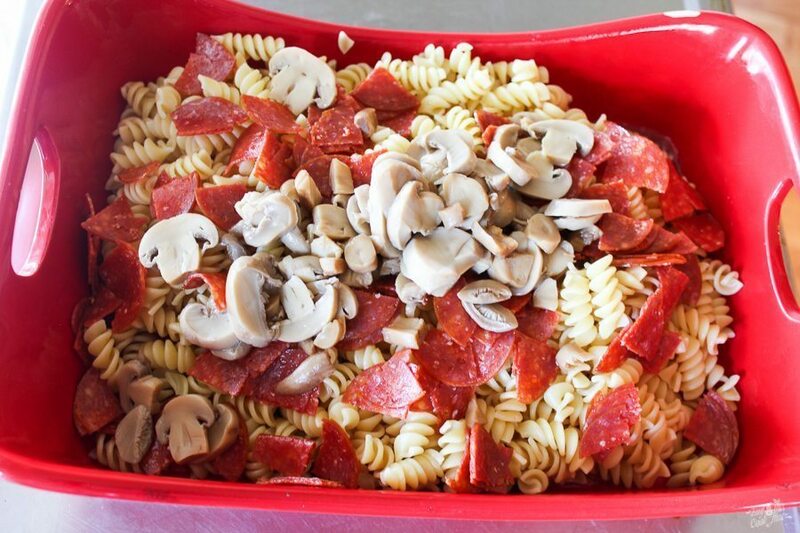 Pick your favorite pasta, and a couple of pizza toppings, and boom…you’ve got a casserole worthy of repeating. 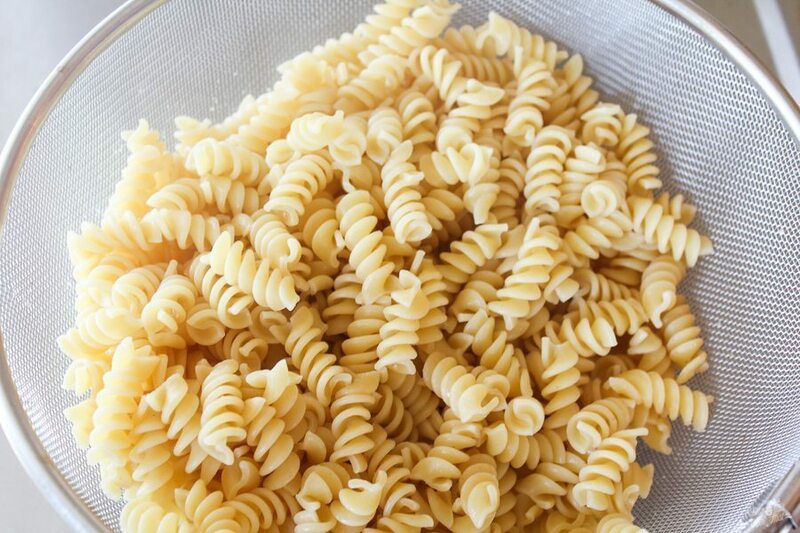 I suggest you cook your pasta to al dente. This keeps the pasta from getting too mushy while baking in the sauce. 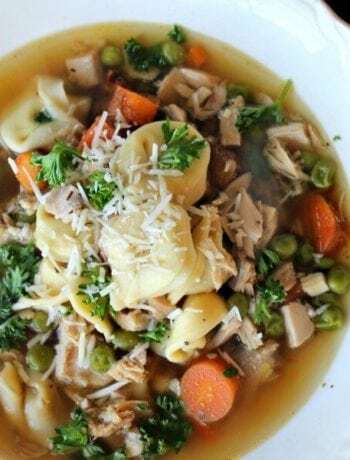 Looking for more Kid-Friendly dinner ideas? Have you tried our Easy Spaghetti Casserole yet? CLICK HERE! You can use your favorite pasta sauce, pizza sauce, or crushed tomatoes. Top with your favorite cheese! Don’t skimp. 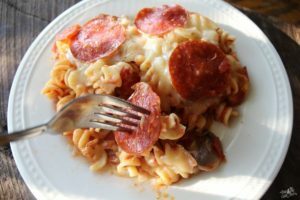 We used mozzarella on our Pepperoni Pasta Casserole. 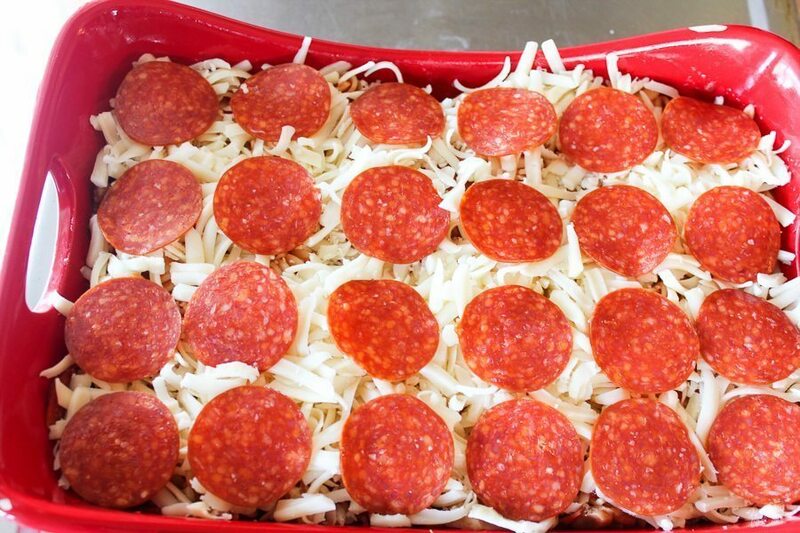 Then, load it up with pepperoni slices.You could also use Canadian bacon, ham, bacon. Or, if you are a vegetarian, skip the meats. Load it up with your favorite veggies and enjoy. Bake for 30 minutes at 350 degrees or until the cheese is melted and bubbly. Serve while hot with your favorite garlic bread and Parmesan cheese. This recipe makes 6 to 8 portions. Preheat oven to 350 degrees. Spray an 8x13 baking dish lightly with non-stick spray. Set aside approximately 24 pepperoni slices. Cut the remaining pepperoni into quarters. 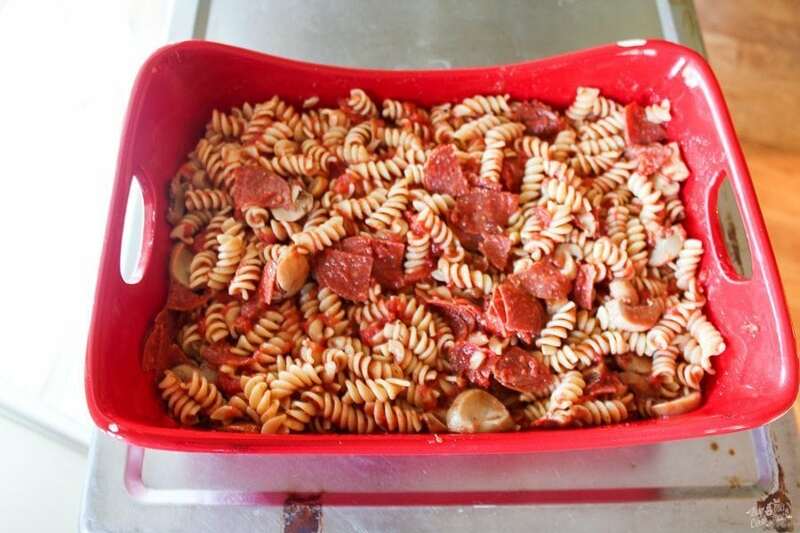 Place the precooked pasta in the baking dish. Pour the crushed tomatoes on top. Add the pepperoni pieces, drained mushrooms, and Italian seasoning. Stir together until the pasta is well coated with the crushed tomatoes. Top evenly with the shredded cheese. 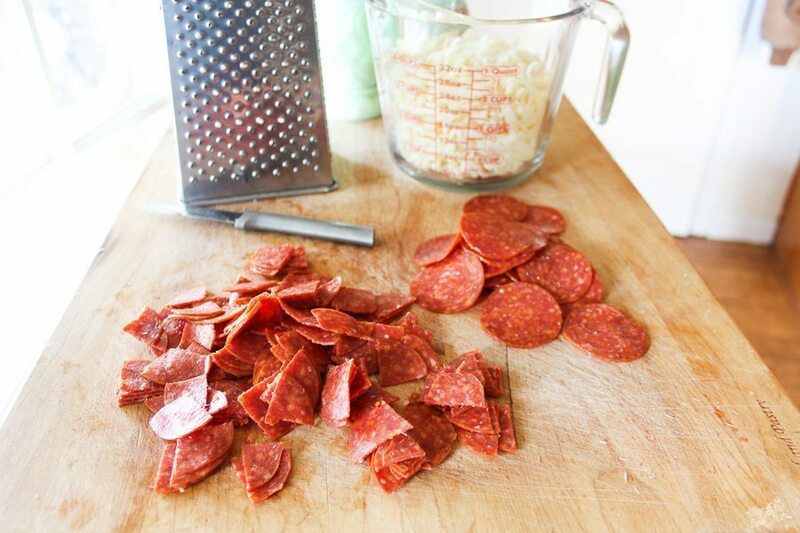 Add the pepperoni slices. Bake for 30 minutes until the cheese is melted, golden and bubbly. The recipe says 3/4 Italian seasonings is it 3/4 teaspoon,tablespoon,etc.etc. Great catch, I will update this. I use about 3/4 of a teaspoon of Italian seasoning, but feel free to use more to taste.